Are you giving an extra special gift? We know that sometimes, gifts need to look extra special. 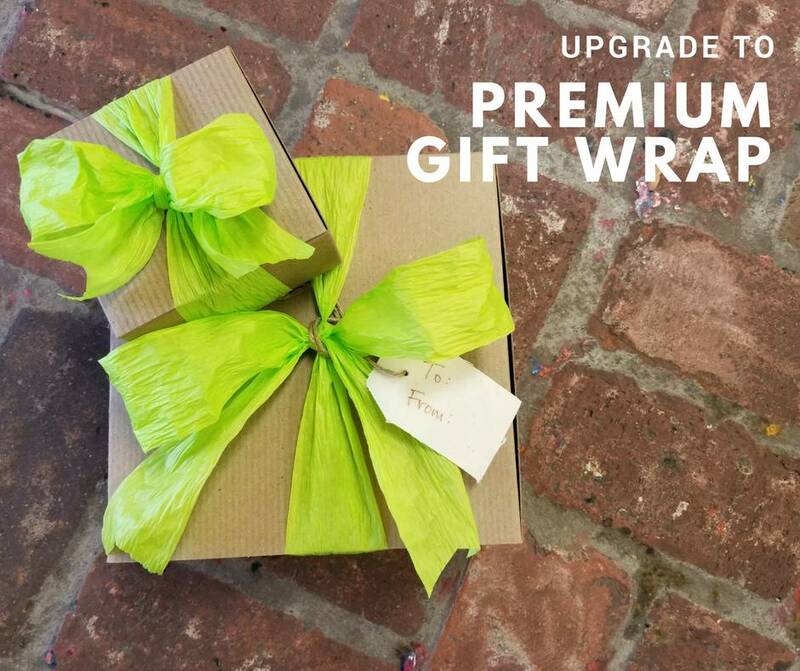 You can now upgrade to premium gift wrap at Green Bambino. This service is $5/box, or free for our VIPs. -100% Recycled Paper Kraft gift box with subtle stripes. 4 sizes available. -Gift items are wrapped in green tissue inside the box. Eco-consciousness is in everything we do - even the gift wrap. Premium gift wrap is plastic-free, and fully reusable or recyclable.